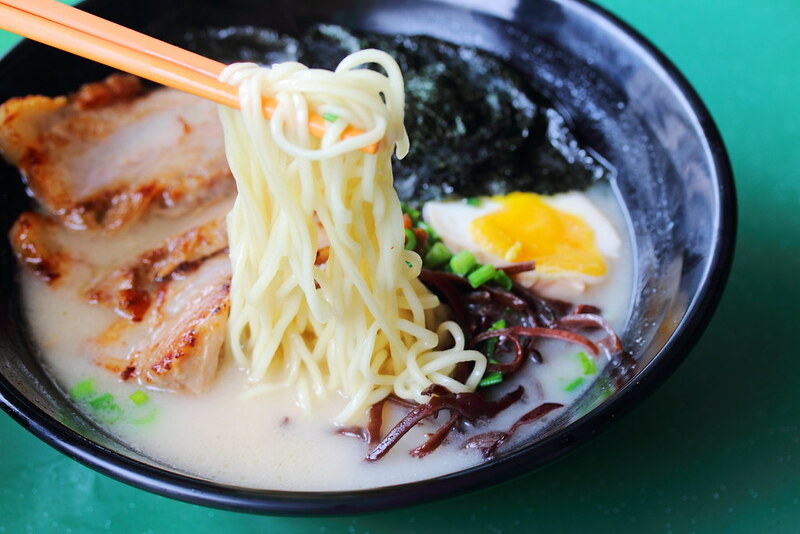 When I heard that there was a new ramen stall at Beauty World Food Centre, I gathered a few foodie friends to check out to check out the stall. 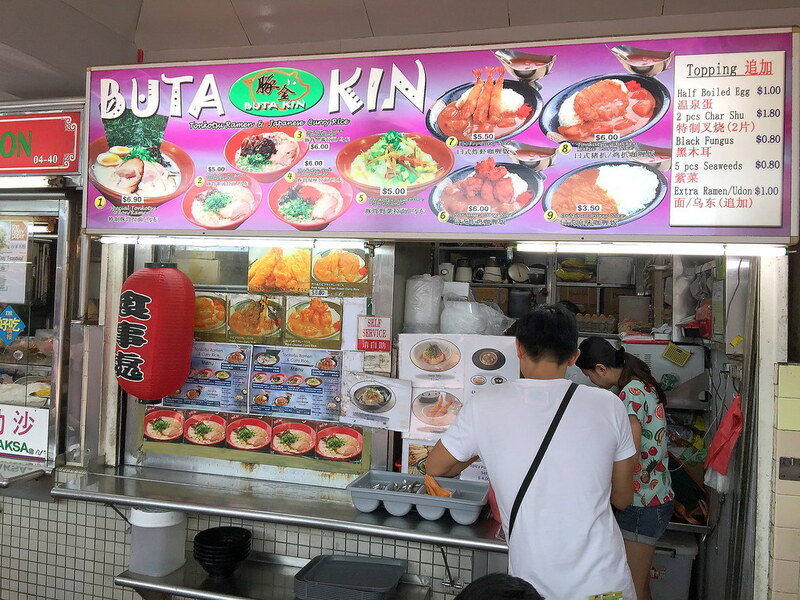 Buta Kin at Beauty World Food Centre offers 5 types of ramen/udon dishes and 4 different Japanese curry dishes on their menu with most items not more than $6. Sounds like a steal isn't it? Let's us find out whether the taste matches up to the price. 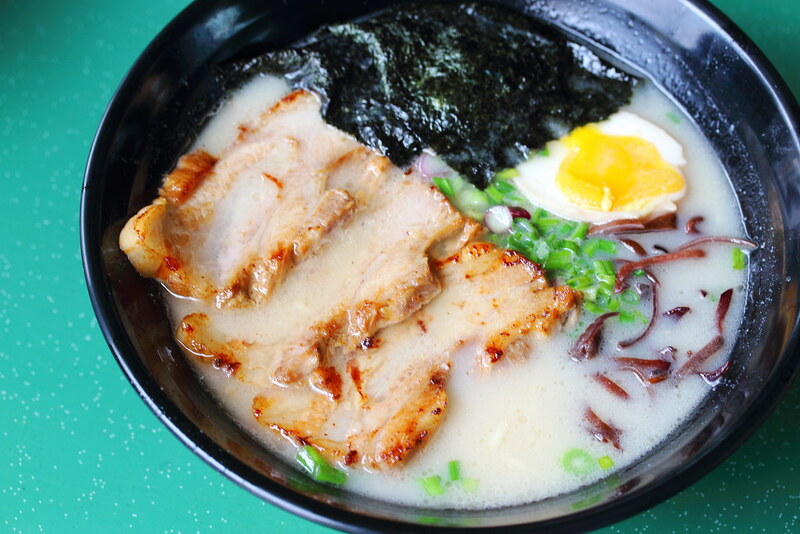 The most expensive item on the menu is the Special Tonkotsu Ramen ($6.90). Diner has a choice of either ramen and udon. 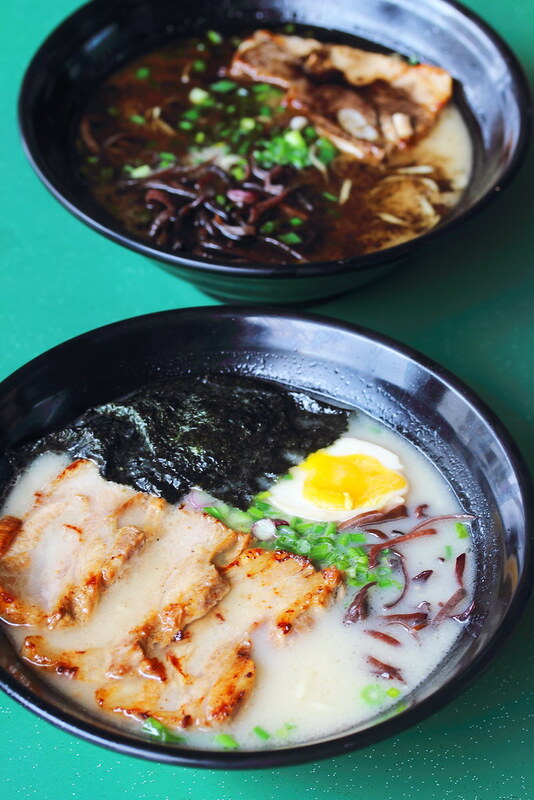 The bowl of ramen comes with 3 slices of pork belly, black fungus, half boiled egg and seaweed. Why the ingredients are generous, the taste was rather lacklustre. The broth lacked the robustness of good tonkotsu soup based. It felt more like have a bowl of Chinese La Mian instead. 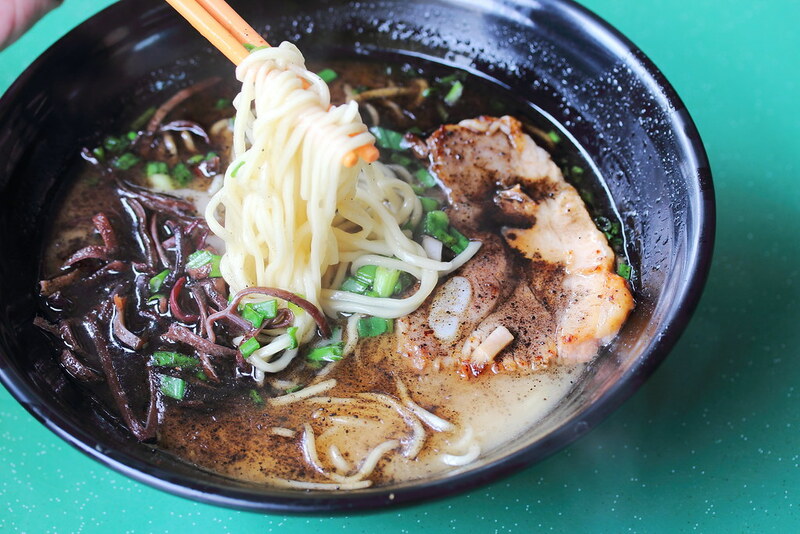 Same goes to the Tonkotsu Black ($6) which comes with a slice of char siew and black fungus, it is disappointing. This is not Japanese ramen at all. Both the noodles and soup is way of the mark of the standard ramen. While the presentation and price of the Japanese ramen is very attractive, the taste was a let down. Unless you are satisfy with just a bowl of average la mian disgusted as Japanese ramen at a reasonable low price, I would advise giving this a miss.